Problems/Miles (Please be specific): Uly- Transmission output shaft seal leak @ 2550 miles. Replaced under warranty. Holed 2 rear tires in ~7600 miles (debris damage, not the tire's fault). Replaced original rear wheel bearings with Koyos at ~8000 miles (originals felt rough). Some cracks in belt at ~8000 miles; I replaced and kept original as a spare. Minor weep at clutch cable primary fitting at ~12,000 miles; dealer replaced under warranty. Dead battery due to problems with "77" connector at ~13,000 miles; disassembled and repaired connector (later replaced). Rear rocker gasket leaking at ~14,000 miles; replaced under warranty. ~29,000 miles- very ominous knock from lower end of engine. Oil filter loaded with fine iron filings. Teardown revealed crunched front connecting rod/crank bearing and badly scored cylinders and pistons from resulting spray of debris. I replaced engine with engine from 2009 XB12R. Other Mods/Misc/Customization. : Uly- Buell Rider Comfort Kit, lined inside right and rear of frame with Thermotec heat barrier. Tall windscreen, LED auxiliary lights, Fiam Freeway Blaster horn, Alaska sheepskin seat cover, Custom Dynamics LED battery gauge, 2010 updated rear wheel and axle, engine breather mod. Accessory "low" seat, 2008 XB12XT rear shock and kickstand, and 2009 XT forks. Favorite Rides (Roads and Routes): Caesar's Head, SC (highways 178 and 276), Tail of the Dragon (highway 129), highway 28 in upper SC/western NC, Wolf Pen Gap Road in GA, 226/226A "the Diamondback" at Little Switzerland, NC. Any road around the Blue Ridge Parkway. 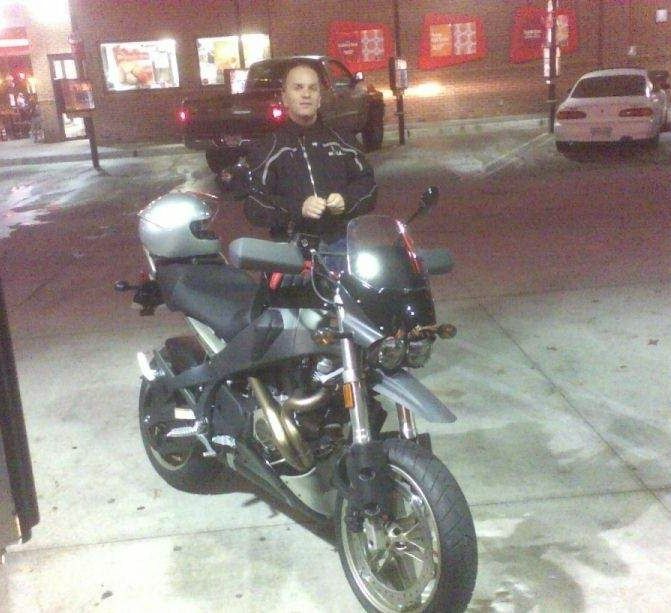 Why I do/don't ride a Buell: I've always liked "different" vehicles and Buells are no exception. Life History/Philosophy: Enjoy driving/riding- don't kill yourself or somebody else rushing to get to work in the morning.